Silver glitter dial with clear crystal sunray dot and hands. Blush leather strap with stainless steel buckle. Water-resistant to 3 ATM/30 meters. 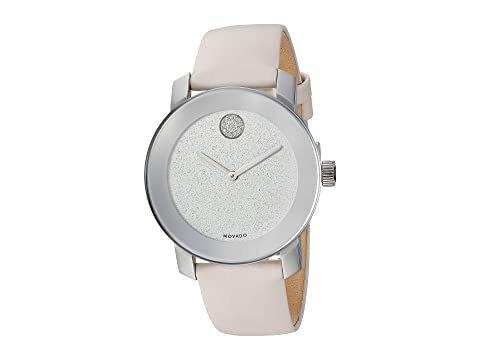 We can't currently find any similar items for the Bold-Iconic Metals - 3600522 by Movado. Sorry!